Martha was a major civil rights leader for children with disabilities. She arrived in Massachusetts in the early 1970’s, thinking, as she loved to say, that she would now be able to set aside the advocacy work she had done in Pennsylvania and devote her energies fully to family and friends, only to find herself immediately and completely immersed in organizing a coalition to help carry a new special education reform initiative, “Chapter 766,” into law. As she saw it, the victory Martha and her coalition celebrated in the signing of Chapter 766 was not enough by any means. She well understood that without an ongoing reliable organization to educate and train parents and professionals over the long haul and to monitor and advance the promises of our special education reform act, it would be all too easy for the law to become dead letter. She turned her energies accordingly toward the creation of what became the Federation for Children with Special Needs – an agency that all who work in our field know as the gold standard of parent training and advocacy. Along with that, she dedicated countless hours to advancing the principles and many of the solutions built into Chapter 766 at the federal level, developing bonds with leaders in Congress that contributed greatly to the eventual enactment of the Education of All Handicapped Children Act (now the Individuals With Disabilities Education Act, or “IDEA”). 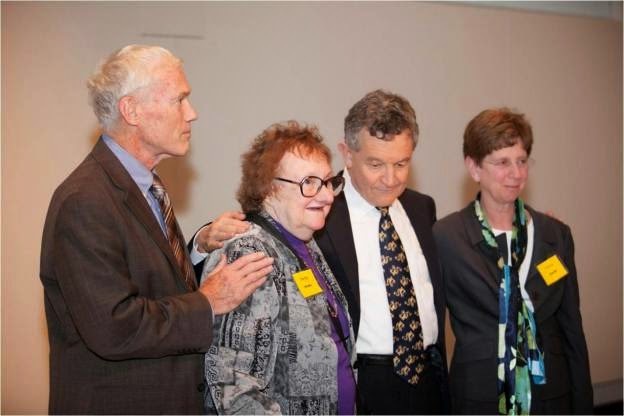 There is so much more to say to and about Martha as advocates in our field begin to mourn her loss. As for me, I feel the loss not only of a powerful and sophisticated colleague in advocacy, but of a true and loving friend for more than forty years. Rest in peace, old friend.